Our CRYNEGINE Indie Game of 2017 competition was fiercely contested, but as is the way there can only be one winner. 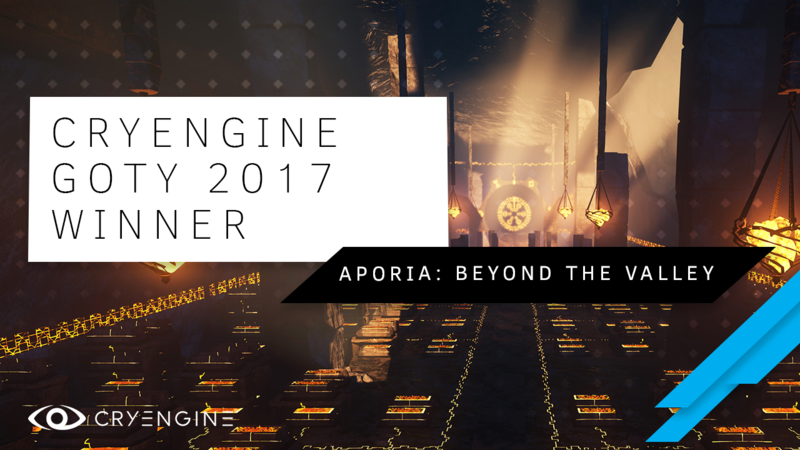 Our team selected the excellent Aporia: Beyond the Valley, Deceit and The Land of Pain as nominees but after all of the votes had been totted up, we’re pleased to reveal that Aporia: Beyond the Valley emerged as the community’s choice for the best CRYENGINE indie game of last year. We sat down with Aporia: Beyond the Valley Game Director and Level Designer Sebastian Bevensee to discuss the award and the experience of creating and releasing their CRYEGINE-developed game. Want hints and tips about how to work on your own indie project? Check out the interview below. Congratulations on the award Sebastian! How does it feel to be chosen from such a great field? Yeeeeeeees!!!! On a more serious note, we feel very humbled and honored to even be considered for the award. Deceit and The Land of Pain were such awesome games to be nominated with. We’d also like to send out special thanks to the Deceit team for helping us out with advice during development. Honestly, it is hard to believe we won. We owe a great thanks to all the fans that have voted for us. We made the game for our players and we are glad they like it! I think we are around the “Very Positive” approval rating on Steam, which is proof that people really have enjoyed the game. Our goal was to create a story that was up to interpretation by the individual players and it is very rewarding to read the players’ description of the narrative and their positive feedback to the game experience. Looking back, how was the development experience with CRYENGINE? Fast! 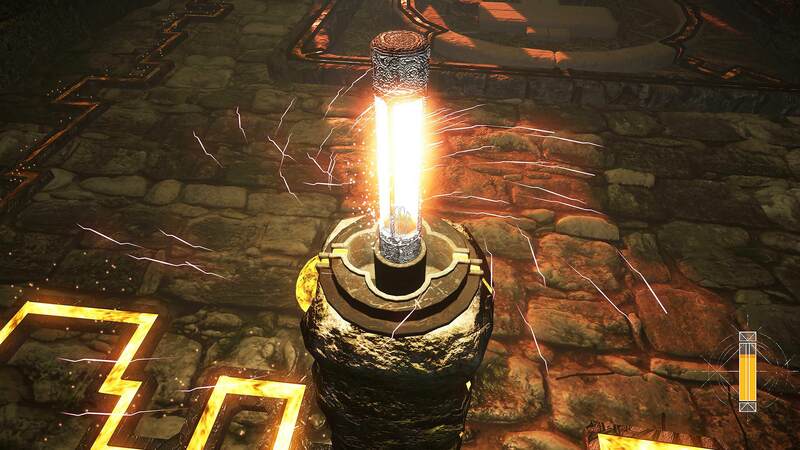 We have experimented with a few game engines, but in our opinion there is no engine that comes close to CRYENGINE in terms of the speed that you can prototype new games and mechanics. We upgraded a few times throughout the development of the game and that came with some challenges, but it’s nice to know that there are people in the backend working to solve any problems that arise. What features made the difference for you? The strongest feature for us in CRYENGINE is the “what you see is what you play” functionality. 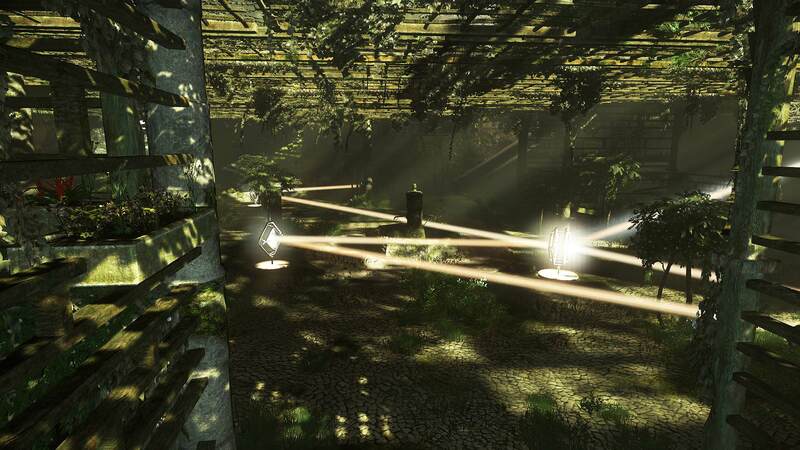 No other engine comes close to achieving the instantaneous control that you have when developing in CRYENGINE. It is so easy to just try out different parameters and not worry about waiting ages while your changes compile. Furthermore, Flow Graph, the time-of-day system and the vegetation editor are all amazing. How have you continued support for the game? We have released several patches to fix some of the feedback we received and issues people came across. We also developed a demo so you can play a vertical slice of the game, which is available on our Steam page. For the holiday we created a Halloween themed “expansion” with some extra gameplay elements to put our players in a festive, spooky mood. 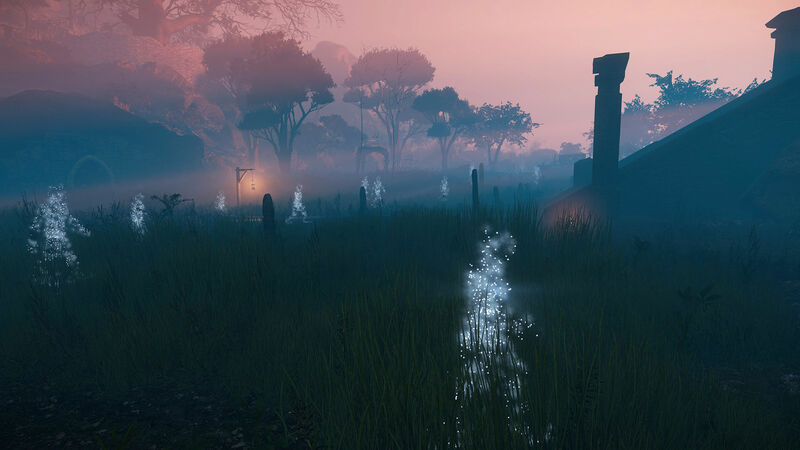 Lastly, we are, of course, looking into transforming Aporia into a virtual reality experience. Watch this space! Do you have any advice around securing a publisher for an indie title? In regards to a publisher, be choosy, make sure the publisher sets a minimum spend on marketing and that you have an influence in what those monies are spent on. Green Man Gaming were great and really helped getting the game out to the press and influencers, which is something we could not have done ourselves. It was extremely challenging to scope the game to match the resources, budget and time we had to create it. It can be hard to set aside features that you really want inside the game and around 40% ended up getting trashed. It is not uncommon in game design, because it’s always a huge challenge to time estimate the different processes. For instance, the UI took three times longer to implement than expected. Definitely seeing other people play and stream it on Youtube. It’s really fun to hear what players think in specific situations and see if they find what you want them to find. And of course all the great reviews on Steam. What tips on making an indie game would you give to other developers? Playtest often and also very early in the process. Design for the players and not yourself. Start very small, you can always expand your game. Start marketing very early and set aside a high budget to do it. Get a good publishing deal and seek influence in the marketing. We can’t say much about it yet, but our main project is a co-op multiplayer survival game for PC and console, that focuses on trust and betrayal between players. Very exciting, and with the multiplayer element, new territory for us. Also, we’ve established a small VR department that does some work-for-hire. With such an experienced team it only seems natural to share all of our knowledge and expertise. Thanks Sebastian, and congratulations again to you and your team on the award! Special thanks goes to MSI who sponsored this contest and will donate a prize for the winning team. We’d like to also thank everyone who voted in this award which recognized just a few of the exciting indie games being made with CRYENGINE. If you’re working on something cool, do let us know on the forums, Facebook, and Twitter. We can’t wait to see another year of CRYENGINE-powered indie games.